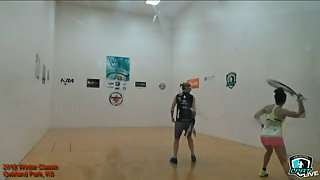 Description: #1 Paolo Longoria vs. #3 Rhonda Rajsich in the finals of the LPRT Pro Nationals in Herndon, Virginia. Can Rhonda win another title this season? Or will Paolo keep her streak of titles going with another win here?